Don’t settle for anything less than you should. Trust Aqua-Tech to advocate on your behalf. Request Your FREE Insurance Consultation! Aqua-Tech has years of experience advocating for people like you to get what they deserve from their swimming pool insurance claim. Find out how we can help you, too! When you need to submit an insurance claim for your swimming pool because of an accident or other insurable cause, you want to ensure you get what you deserve. Navigating an insurance claim can often feel like an uphill struggle, so let Aqua-Tech advocate on your behalf. In our decades in business, we’ve supported countless clients through the process and we will help you get back in your pool as quickly as possible. Thanks to our in-depth understanding of pools, we can seamlessly liaise with you and your insurance agency, providing the necessary information and assessments about how to best address the existing situation and prevent a similar occurrence in the future. 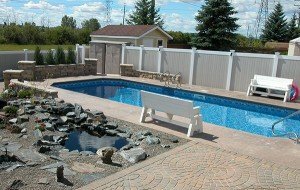 Our high quality of work satisfies you as the pool owner. Further, our technical capabilities alongside our existing relationships as their preferred vendor will ensure that your insurance company will be ready to work with us. It’s your right to choose your vendor and when you partner with Aqua-Tech, you can expect that at the end of your claim your swimming pool will be restored to its original condition–or maybe even improved upon! Throughout the process, we want you to understand your best option and always advocate for a full replacement where necessary. Our strengths lie in the ability to systematically investigate not only the surface damage but to also assess the potential remedial measures and costs associated with your insurance claim. By using our process, neither you nor the insurance company need to worry about what may have to be repaired. 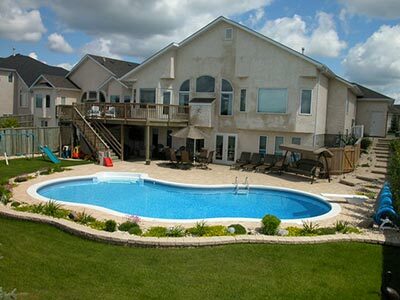 Our breadth of experience includes accurately determining all of the measures that are required to restore your pool to its original state. Our unmatched experience in this industry makes us the ideal partner for your insurance claim. You wouldn’t settle for anything less than an Aqua-Tech pool, so why would you accept less generous benefits than you deserve? Call us today to learn more about how we’re here to help. Get a Quick Liner Estimate Now! The journey toward a new pool liner begins with your FREE estimate from Aqua-Tech! Answer a few quick questions and we’ll contact you with more information.